In arid and semi-arid areas, securing water for agriculture is highly important; hence, even small water-retaining structures and farm wells are sometimes utilised to supply essential water to farms. To promote continuous and effective utilisation of these water supply facilities, the sense of independence, in other words, the farmers’ awareness and confidence as main actors of community development can be the driving force. 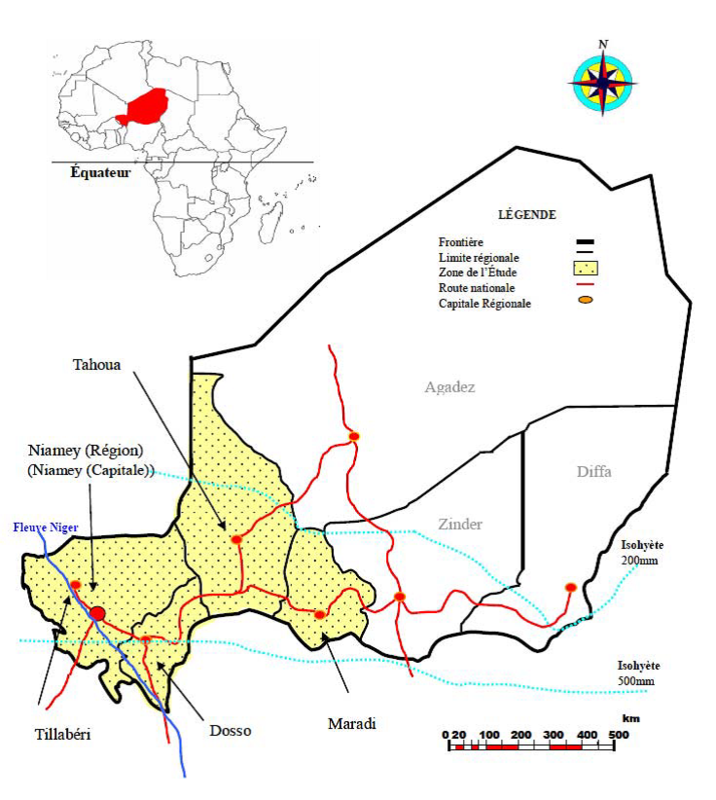 The “Sahelian Oases Development Study” was implemented in the Republic of Niger, which is located in the green belt of sub-Saharan Africa, from 2005 to 2009 with the technical assistance from the Japan International Cooperation Agency (JICA). 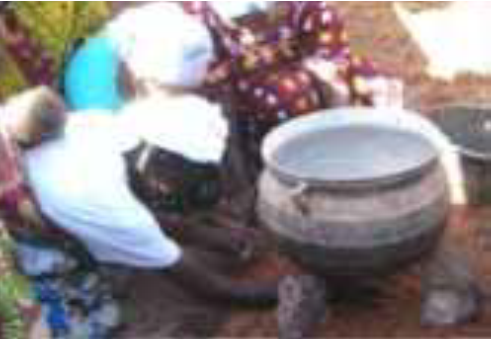 From 2000 to 2004, under the Special Programme of the President of the Republic, fully financed by Heavily Indebted Poor Countries (HIPC) Initiative resource, the government of Niger constructed approximately 100 water-retaining structures and 100 farm wells in line with the poverty reduction strategy. 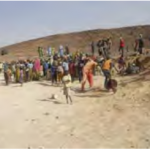 While access to and rational use of water were considered as key issues to increase farmers’ income, improve living conditions, and conserve natural environment in the area, reservoirs were not fully utilised by local communities at the time. 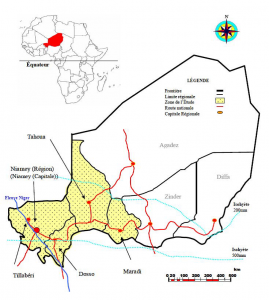 The Niger government requested the Japanese government to support the execution of the “Sahelian Oases Development Study” whose main objective was to plan and promote effective use of constructed small water-retaining structures. 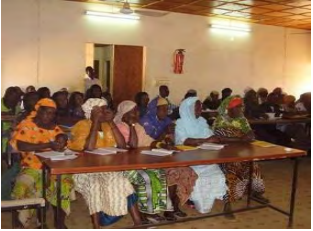 The above-mentioned concept of nurturing sense of independence was introduced by JICA to the Niger government, and the latter agreed to take the “hand-in-hand” approach where locals were involved in analysing the situation, choosing the measures to take, executing and managing these measures, and give feedback to their action plan together with experts and local government officers. 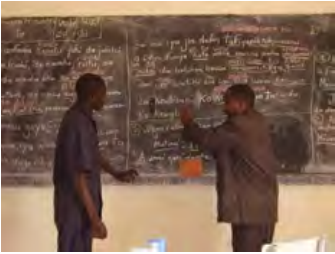 A total of 52 technical manuals and guidelines for community development were produced by this project which may be useful for both trainers and self-learners. These materials are available at the end of the article. 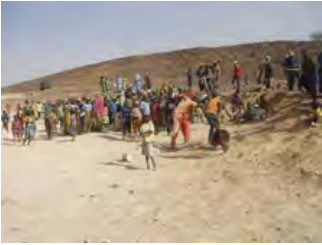 The project team composed of local government and Japanese experts surveyed 285 villages considered as beneficiaries of the 66 water-retaining structures constructed in Tillabéri, Dosso, Tahoua, Maradi, and Niamey region. 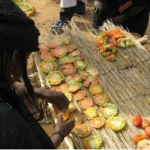 In applying Participatory Rural Appraisal (PRA), now known as Participatory Learning and Action (PLA), which is an approach to empower local people through analysing their own living conditions and problems, information on the study area were shared among the study team and communities. The PLA revealed that local people had faced various challenges not only on the utilisation of reservoirs, but also on the lack of knowledge on agriculture, environmental deterioration, uncoordinated usage of reservoirs, and so on. 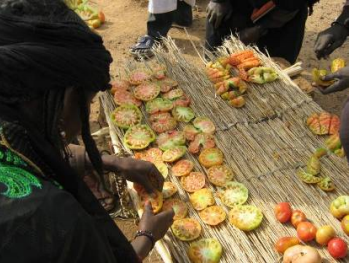 Following the participatory analysis of challenges, pilot projects were designed and implemented in four sites in the Tahoua region. The pilot project was composed of six actions: (1) Strengthening government support system to community; (2) Enhancement of reservoir management capacity; (3) Enhancement of project management capacity; (4) Technical assistance for increasing income; (5) Livelihood improvement; and (6) Introduction of Tontine system. Under these actions, various subprojects were implemented, and the 52 various technical manuals and guidelines were developed to implement them. A variety of subprojects were conducted under the pilot project. 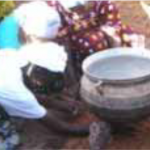 Evaluation process of the pilot project was also conducted in a participatory manner. In order to increase feasibility and effectiveness of the action plan, the lessons learned were expected to be reflected in it. Community members were invited to participate in the process. Interestingly, in some subprojects evaluation results from study team and community differed. Through this process, community members experienced to tailor action plans for their needs. 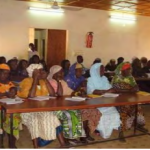 It showed that increased participation empowered and motivated beneficiaries to take care of and to utilise structures formally transferred to them, leading them to play as main actors in community development. The technical manuals used for the training are available from the links below. These may be applied to other countries in arid/semi-arid areas!